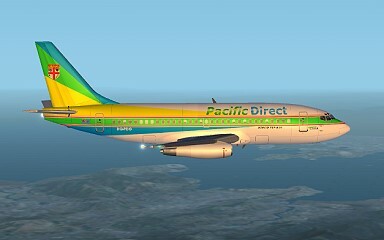 Site update March 2006 . . . . . . . Full 737-200 schedule ready - All areas . . . . Fiji and Tahiti ATR schedules ready . . . .737-800 Schedule also ready. . . . . Navigation Section in the pipeline - All Ferry Flights Still available. . . . . . .
PDA 737-200 Full schedule now ready ! The Boeing 737-200 schedules are out there now. They cover the Solomon Islands, Nauru, and Tonga, and including the hubs of Fiji and Tahiti. Also on 737-200 schedule, are the Australian East coast Airports of Brisbane, Cairns and Townsville. There are others, but I will let you explore. PDA ATR schedules nearly ready. Schedules for the ATR's are just being finalised now, and should be ready by the end of the week (30th Jan 2005) so keep an eye out. perhaps the 'Directions' news-hound will find out before me ! Two out of the three will most likely be hub based, one out of Fiji and the second out of Tahiti, with the third perhaps loosely based out of Rarotonga (NCRG), to provide cover for the central South Pacific islands. 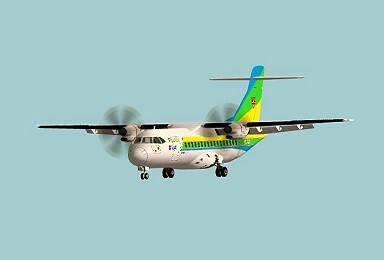 As with the Boeing 732 aircraft above, these ATR's will be running to some of the smaller Islands and will require careful planning and preparation. Have fun !